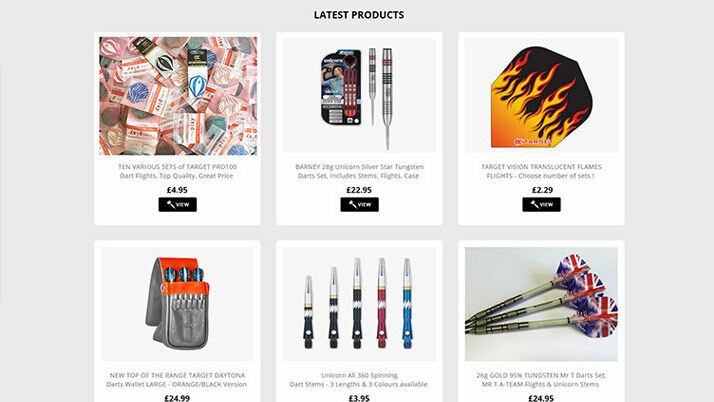 HT Darts are one of the UK’s leading darts and darts accessories providers. 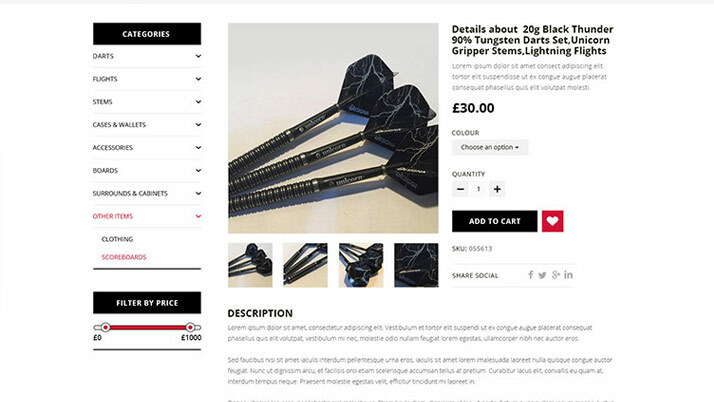 Having had a huge online presence on both eBay and Amazon, they naturally decided to expand their marketing strategy to having their own website to increase leads and generate higher profits from sales. 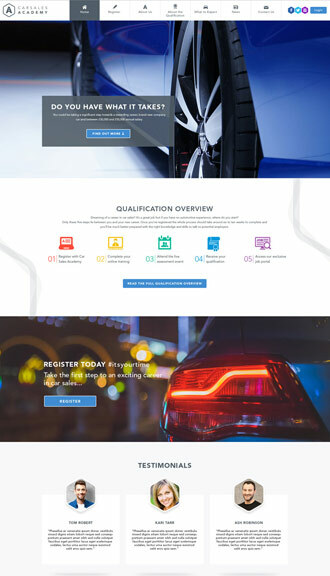 Working closely with the client, we designed the logo, branding guidelines and website. As the website is B2C focused, we looked to create a website which was easy to use and navigate for a wide range of audience demographics. 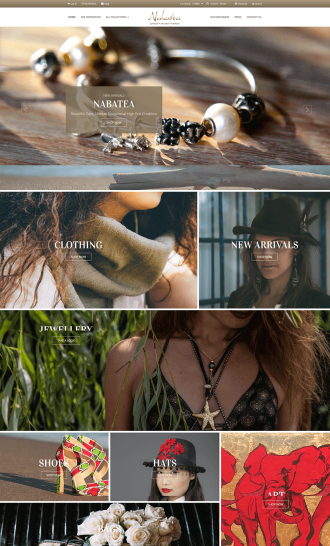 No easy task for a website with over 10,000 products and 200 brand variations! 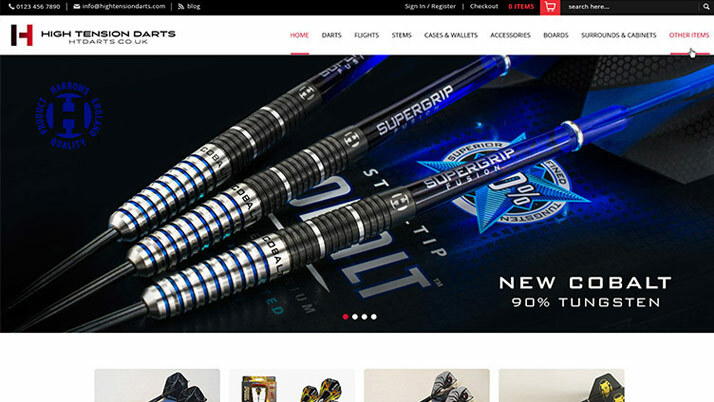 In terms of number of products, this is one of our largest e-commerce projects ever. 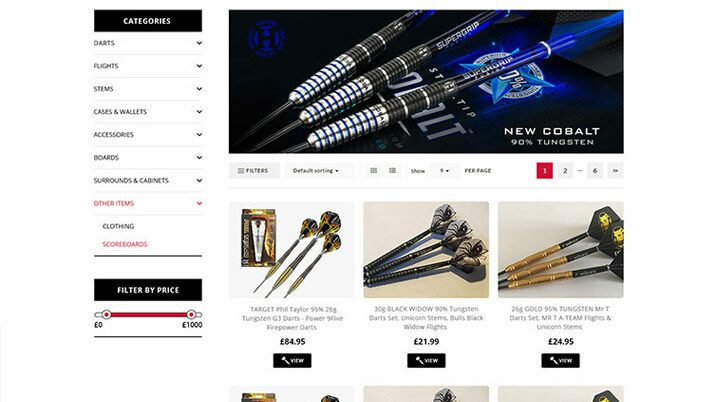 The challenge was to create a site which catered to both experienced dart players and newbies. We feel that we nailed it! 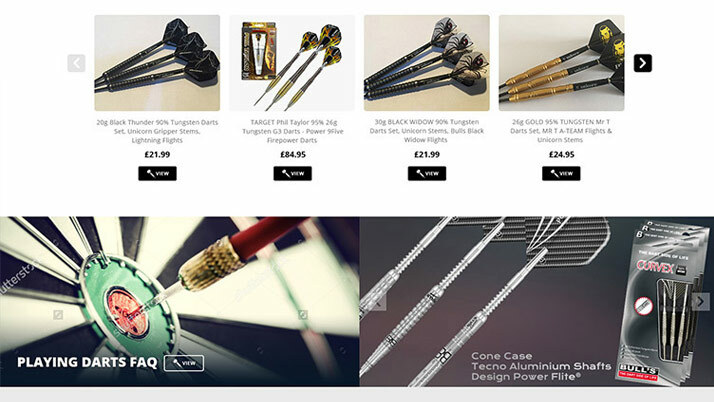 The website is very easy for the client to manage and update in terms of adding/editing products as well as managing customers and orders.